Lessons are delivered on a weekly basis, over a period of 20 weeks, through a combination of supplied course notes, modern media presentations, and online tutorials. Students study at their own pace and within their own time, but always with supplementary group discussion and one-to-one online support from Angela, the tutor. For those who enjoy the benefits of social media, there is also a designated Facebook discussion page which is exclusive to course participants, offering students the opportunity for extended discussion and interaction with each other - taking part is optional but recommended as a way to informally explore or deepen understanding of any point raised in the material. The available places on this course are limited to 12 participants, to ensure that the study groups are friendly and supportive, with everyone able to receive a great deal of personal attention. Please note that all course times are given in GMT. Students are responsible for converting advertised GMT course times to their local time zone equivalent. The website timeanddate.com offers a useful world clock which shows the time difference from GMT for all of the world’s major cities: www.timeanddate.com/worldclock. The course formally commences at 11.00 am GMT Sunday, 25 February 2018, with a group tutorial that offers an overview of the content of the course (this is expected to take no more than one hour, following which the Session One material is made available for viewing and course notes are emailed to students). Participants are asked to join a similar online meeting each month for material review and group chart discussion. Although it is highly recommended that everyone participates in these sessions, they are supplementary and not mandated for graduation. If anyone is unable to attend the weekly online course meetings, they will still be able to access and progress through the course material, which is uploaded on a weekly basis for students to download independently and work through in their own time. The course is restricted to a small number of participants to allow plenty of individual attention. Therefore, places on this course are limited to a maximum of 12 students. Students are required to download a free video conference program to enable interactive on-line sessions with Angela and fellow-students. It is also necessary to have either a Facebook, Microsoft or Google account in order to view the on-line tutorials and to take part in additional (optional) discussion groups. Prior to the commencement of the course, each student is asked to engage in a practice session with Angela to ensure that they are able to access all course materials efficiently, and to offer familiarity with the process involved in the delivery of this course. The course materials should be accessible on all modern computers (Windows 7 or higher is recommended for Windows based PCs). For any kind of video conference, it is recommended that each participant have 1 Mbps upload, 4 Mbps download of available internet bandwidth. For optimum performance, we recommend using a broadband Internet connection. Poor network performance, lack of memory or high CPU usage may cause the audio quality to drop, become delayed or sound robotic. If you experience this, try closing all applications that are not being used to free up some additional bandwidth. In the unlikely event that the course is cancelled or postponed, STA will refund any course fees and deposits but will not be liable for any other costs incurred by participants. If a student pays for the course and then changes his or her mind for any reason, a cancellation will be arranged and refund of any particular payment is allowed within 30 days of that payment. No refunds are allowed after this 30-day 'cooling-off' period or after the delivery of course materials has commenced. The cost of this course, which includes all online classes, course notes and qualifying certificate is £495. Places are limited to 12 participants, secured on a first-come basis upon payment of a £100 deposit. The remainder of the course fees must be paid in full by 15 January, 2017. Payment can be made by bank transfer, sterling cheque drawn on a British bank, or via credit or debit card through PayPal. For the latter, please use our online booking form. Enrolments can be made through our our online booking form or by submission of the form provided on the PDF prospectus. If you encounter any problems, or have any unanswered questions regarding the details of this course, email Angela at anjie@sta.co. 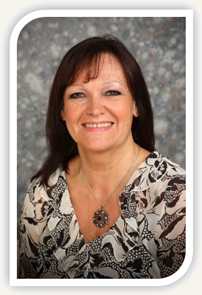 Angela Cornish is well known to many through her published articles and past roles as Administrator for the Urania Trust, Honorary Secretary to the Astrological Association of Great Britain and founder of the Nottingham Astrological Society. She has practised and taught astrology in classes, talks and workshops for many years and, more recently, online. Angela gained her Diploma in Astrological Studies from the Mayo School of Astrology in 1984. Her growing interest in horary led to her certification by the School of Traditional Astrology as a Horary Practitioner in 2005 and a Masters-Level Diploma holder in 2011. She has been a tutor for the STA since April, 2015, and delivers the Practitioners-Level Horary Course as an intensive attendance program or online course. Angela has spoken a number of times at the annual conference of the Astrological Association of Great Britain, recently representing the STA by presenting a lecture on the subject of missing persons. She has also recently delivered an online introduction to horary for the Mayo School of Astrology, presented on horary astrology at the 38th Annual International Astrological Conference in India, led a workshop on Horary astrology in Edinburgh and presented at the 8th International Conference of Astrology in Perugia, Italy. Angela is a council member of the Association of Professional Astrologers International, a trustee and secretary of the Astrological Association of Great Britain, and a member of the Astrological Lodge of London. She can be contacted by email at anjie@sta.co.